UPDATE: Fujiya 1935 had 3 Michelin stars when we ate there in 2014 but it looks like they’ve since lost one. At present, they have 2 Michelin stars. For a restaurant to have one Michelin star is impressive enough, but to have three puts it in elite company. Just how elite might you ask? 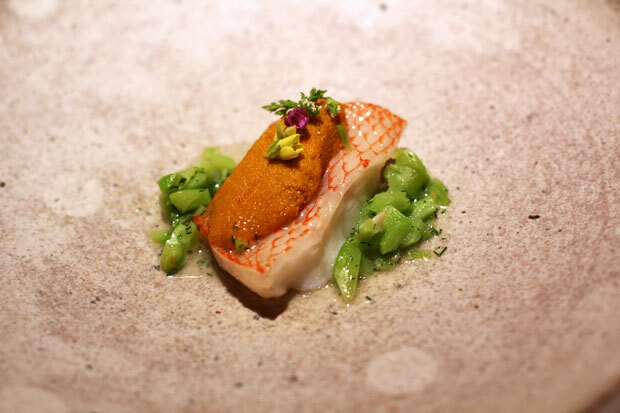 According to The Daily Beast, only 104 restaurants worldwide held three Michelin stars in 2013. 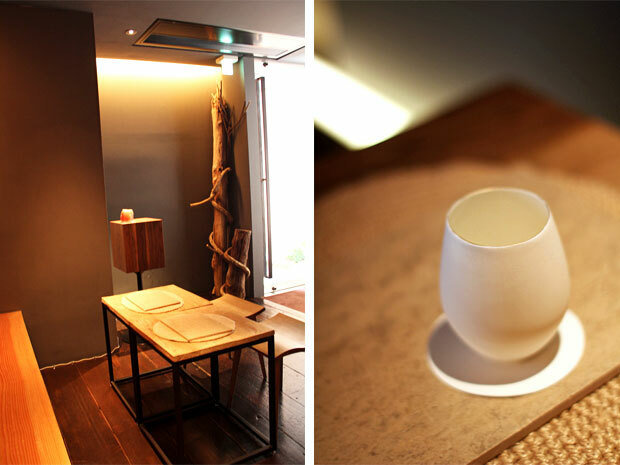 Fujiya 1935, an innovative restaurant in Osaka helmed by Chef Tetsuya Fujiwara, is one of them. 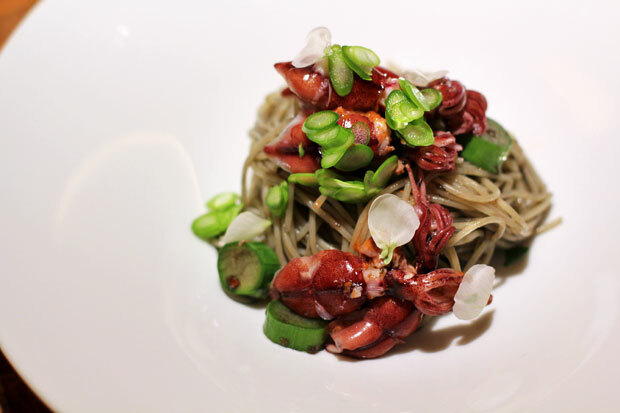 For me and Ren, dining at a three Michelin-starred restaurant is something that we’ve been wanting to do for a very long time. 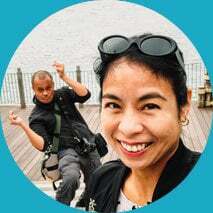 We don’t normally spend this much on food, but seeing as how this was my 40th birthday trip and with no Michelin-starred restaurants in the Philippines, we decided to live a little and just go for it. As you’ll soon see below, I’m grateful that we did. 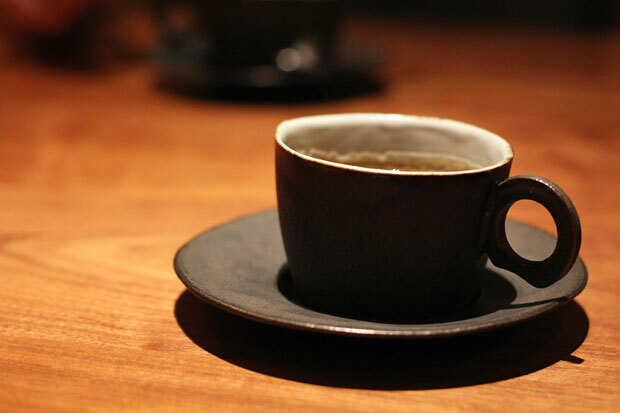 L: Dark, zen-like ante room where customers wait while their table is being prepared. R: While waiting, they served us this most extraordinary cup of water. 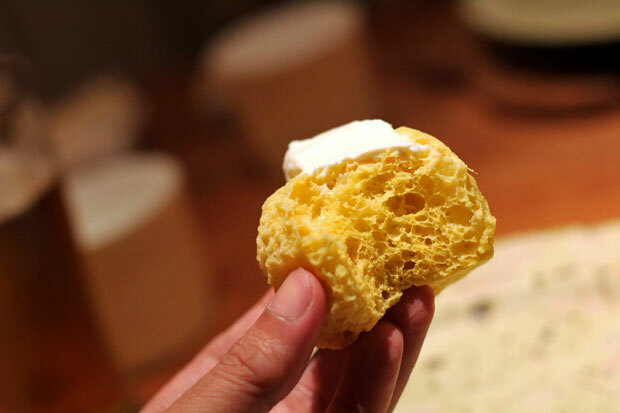 If I understood correctly, it was drawn from shirakaba (birch) trees, giving it an earthy fragrance and sweetness that was unlike anything I’ve ever tasted. In awe, my Japanese friend Tom noted that it smelled like sake but tasted like water. Nothing short of remarkable, it was a sign of good things to come. APPETIZERS: Once we were seated, they started us off with a trio of appetizers. 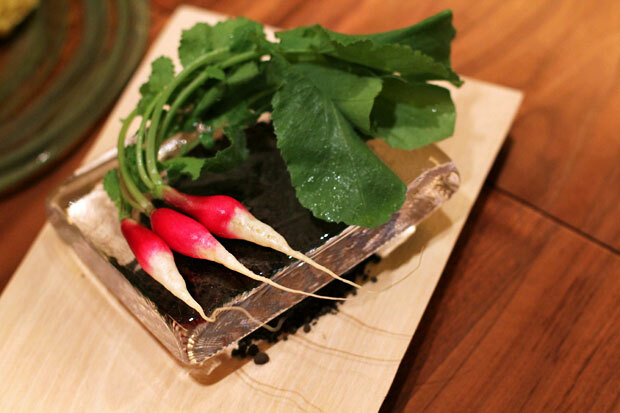 Here are the freshest, crunchiest baby radishes served over the soil they were grown in. 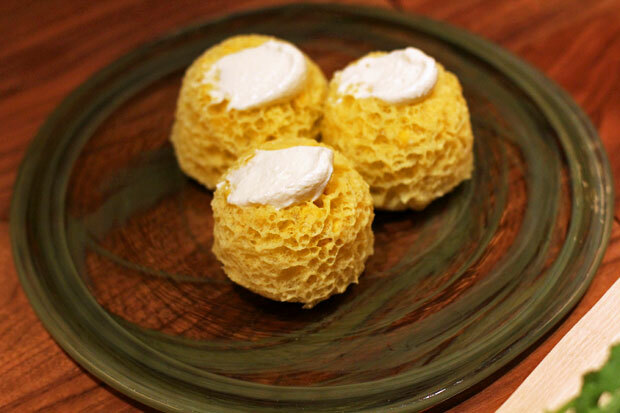 Light, fluffy, and cake-like with kernels of corn inside. Fun! 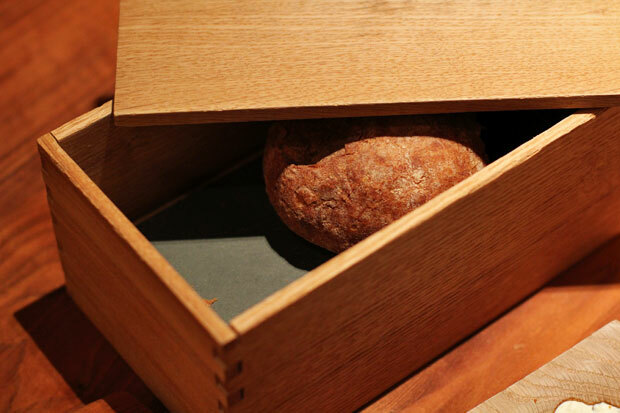 Freshly baked bread served in a lidded box, and kept warm by a slab of hot stone at the bottom. Cool huh? A duo of spreads. The one on the left was made with sesame butter I think. I don’t recall what the other one was, but I remember it tasting milky. FIRST COURSE: Warm uni and snapper(?) with seasonal vegetables and edible flowers. Isn’t it gorgeous? 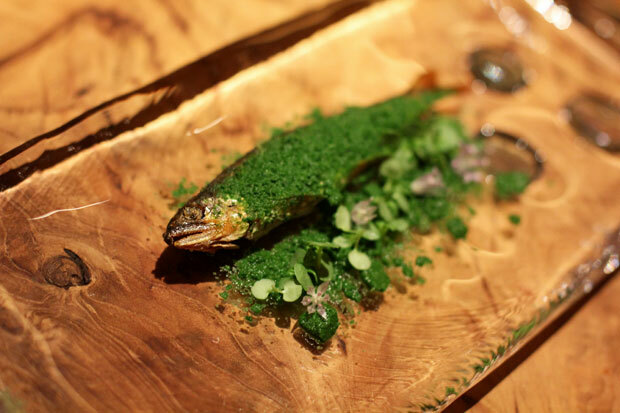 SECOND COURSE: Ayu (river fish) with pureed shiso (perilla). I’ve been wanting to try ayu after seeing it as a secret ingredient on Iron Chef, and today I got my wish. So good, especially the head! THIRD COURSE: One of my favorite courses from today, this was firefly squid on fresh pasta with seasonal vegetables and edible flowers. I love the texture of firefly squid. 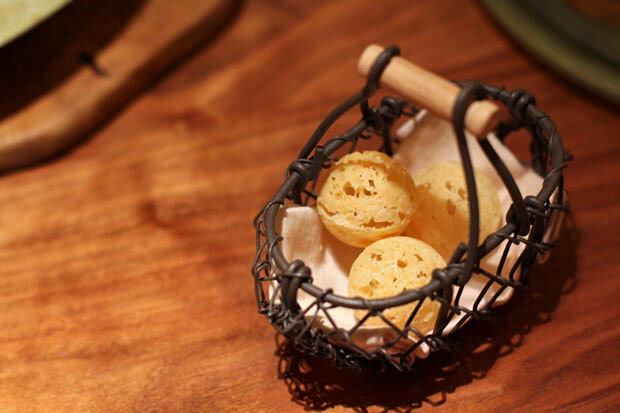 They’re tender with pop, oozing with an intense, briny liquid the moment you bite into them. Really, really good. You can always judge a restaurant by the quality of its cutlery. 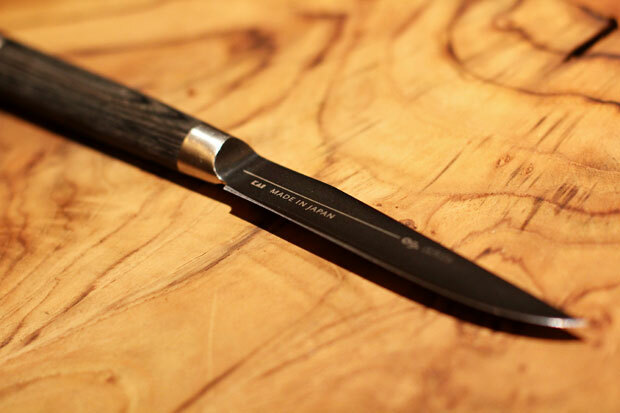 Working closely with Chef Fujiwara, these knives were hand-forged exclusively for Fujiya 1935 by one of Japan’s top knifemakers. 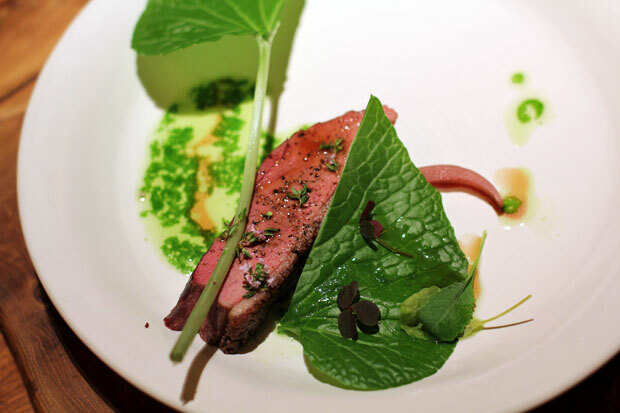 FOURTH COURSE: Seared duck breast with wasabi leaves. Moist and tender, you would never have known that this was duck meat. Tom thought it was beef! He also remarked how he had never seen wasabi leaves before. 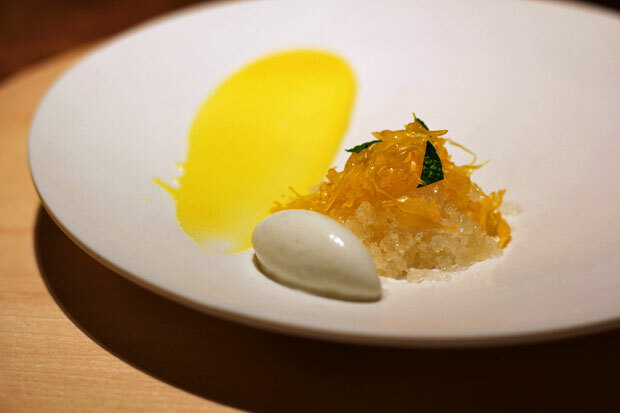 FIFTH COURSE: The first of two desserts, this citrus-inspired dish had shaved ice topped with pulp bits, a smear made from the white pith of the fruit, and a quenelle of coconut ice cream. Sweet, cold, creamy, tart, and at times harshly bitter from the pith, this dish had a remarkable contrast of texture, temperature, and flavor. I had never tasted anything like this before today. SIXTH COURSE: As interesting as the previous dessert was, we much preferred this one. A stunningly presented dish of fresh berries, two types of cream (vanilla and caramel maybe? 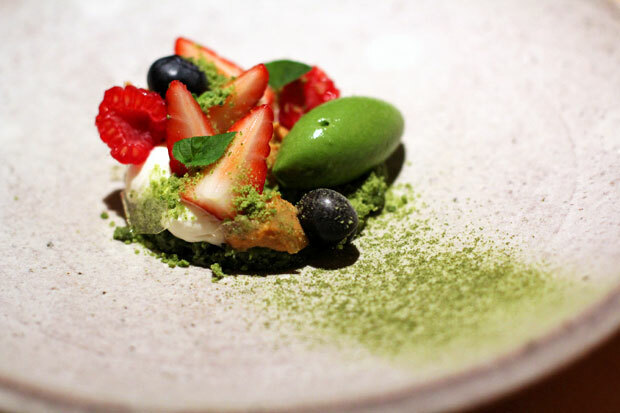 ), a quenelle of matcha (green tea) ice cream, crystallized sugar, and matcha powder, this was one of the single best dishes that we had during our entire stay in Japan, and I don’t even consider myself a dessert person. It was pure bliss. All in all, our bill after taxes and drinks came out to just under ¥9,000 each. 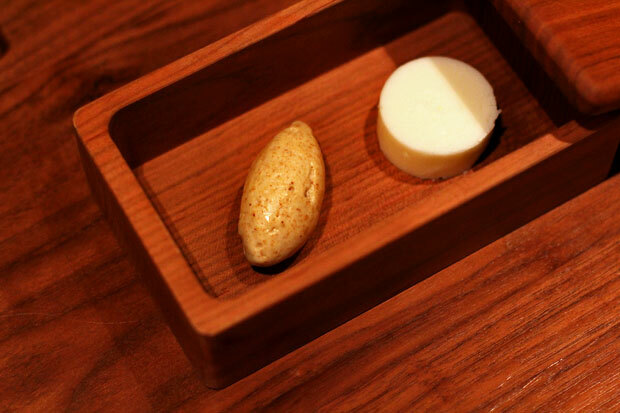 Pricey yes, but for a 3 Michelin-starred experience at one of the world’s 50 best restaurants, it was a steal. One of the most enjoyable, most visually stunning meals I have ever had, I think I’ll be savoring this experience for a long time to come. We are planning to go here, did you have to make reservations? Did the cost include any alcoholic drinks? Thank you for your review as we were trying to decide if we should go for lunch or dinner and it seems that the lunch itself is pretty good. Hi Bee, yes, I think reservations are a must. We initially wanted to go on a Saturday but the place was already booked up a week before. Luckily, they had a table available on a Friday. There were three of us and we each paid around ¥9,000. Lunch costs ¥7,500 per person, and we each had a beer. If I remember correctly, they offer wine pairing as well for ¥3,000 a head. Dinner goes for ¥15,000 each. Lunch was great though I’m sure dinner will be pretty amazing as well. More courses, more fun haha! Thank you so much for the info. Yes I had Amex Concierge make my reservations. We opted for the lunch as well since I think the 6 course meal is enough. Your site is perfect since the places I wanted to visit you covered them pretty well. Good site. We opted to stay in Osaka the whole time. 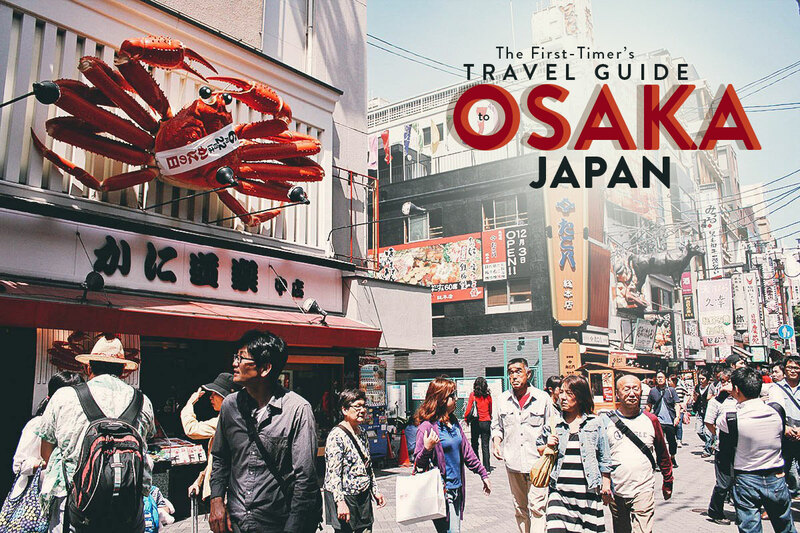 How much was the fare between Osaka and Kyoto and how long was it? I wanted this to be a food trip that consists mainly of street food but its hard when you see all the awesome restaurants. I hope you don’t mind me asking you through your blog 🙂 its the best one out there. The trip from Osaka to Kyoto isn’t bad at all. It’s under an hour, around 45 minutes if I remember correctly. I don’t remember what the fare was, but I just checked on hyperdia.com and it’s ¥800. Sounds about right. Transportation I thought was pretty reasonable overall. Hi, I’m staying with Airbnb how can I book reservations for this for at least 5 people. Would It still be possible to book myself calling from Australia? Hi Tiffany, you can try but there might be a language barrier. 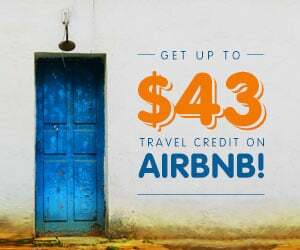 If so, perhaps you can course the request through your Airbnb host? Hi! Great pictures! I went to Fujiya recently and the food looks completely different. Check out my post on miikolifestyle.blogspot.jp !